JAKARTA – Another messy split looms for the one-time political powerhouse Golkar, the party of Indonesia’s former dictator Suharto, following a rancorous annual conference over the past week. 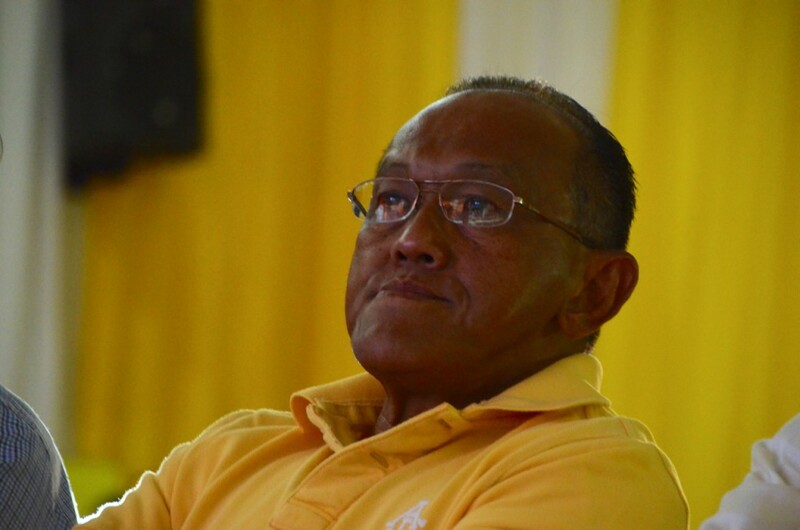 Aburizal Bakrie, a billionaire businessman, was re-elected as party leader on Wednesday evening after sidelining several senior party rivals who wanted Golkar to join the coalition government. The event was marred by the losers – including Priyo Budi Santoso, a former parliament speaker, and Agung Laksono, a former government minister – alleging that 68-year-old Bakrie used underhand tactics to retain the chairmanship. In what sounded like a scene from British comedy classic Blackadder, a recording surfaced of a Bakrie aide telling delegates in Bali that he had a “cunning plan” to ensure Bakrie was re-elected. It worked: Bakrie won unopposed after his six opponents dropped out or refused to run, claiming the vote was tainted. “We reject the Bali congress because it is unconstitutional and undemocratic, as well as violates the party’s statute. We reject the congress, including all the decisions it makes,” Laksono told media in Jakarta on Wednesday. Bakrie, who made a fortune through his connections with the old Suharto era elite, had been seen as vulnerable to a leadership challenge. Under Bakrie, Golkar used what it saw as a nostalgia for the Suharto era as its campaign theme in April 2014 legislative elections, but could only place second. Its 15 per cent of the vote has translated into 91 seats, down from 106 in the previous parliament. Hard on that loss came Bakrie’s “inability to win support to be a presidential or vice-presidential candidate despite securing the mandate from Golkar,” in the words of Yang Razali Kassim, Senior Fellow with the S. Rajaratnam School of International Studies at Nanyang Technological University. Bakrie threw the party’s diminished weight behind Prabowo Subianto’s failed bid for the presidency in July, even though Golkar grandee Jusuf Kalla was standing as vice-president on the ticket of eventual winner Joko “Jokowi” Widodo and would presumably bring many Golkar voters with him. Throughout the summer, speculation was that Prabowo’s majority coalition would split as the prospect of being in opposition loomed closer. Bakrie met with Jokowi days before his inauguration as new president in October, prompting speculation that a deal was on the table that could see Golkar net a ministerial job or two in return for defecting from Prabowo’s camp. That never happened, and Bakrie told delegates at the party congress in Bali this week that Golkar would remain part of the opposition. The prospect of five years out of office is causing something of a political nosebleed for Bakrie’s leadership rivals, several of whom have formed a rival camp and want to convene their own party conference in January. While Kalla, a long-time rival of Bakrie’s, had been hoping to use his influence to oust Bakrie and see a loyalist take over Golkar and bring it fully to Jokowi’s side, the prospect of division in the party may at least shave Prabowo’s opposition numbers in parliament, in turn perhaps making it easier for the president to push through an ambitious reform agenda. But that will depend on how many Golkar MPs are willing to defect, and with the cabinet already in place, it seems that Jokowi and Kalla have little to offer them. Djayadi Hanan, a political science lecturer at Paramadina University, said that this further strengthened Bakrie’s position and could forestall a split. “It is not clear at this stage how strong Agung Laksono’s side is, or if Jusuf Kalla can now counter Bakrie,” Hanan said. Divisions are nothing new to Golkar, which has already split once this year. In September 11 of its MPs voted against a move to abolish Indonesia’s system of directly electing heads of local government – breaking with Bakrie and party colleagues, who voted for the divisive move. Splinter movements are part of Golkar’s history, as it evolved from heading a de facto one-party state to competing in a democracy after the fall of Suharto’s dictatorship in 1998. Several prominent members have quit and set up their own parties over the years. Most famous of these was Prabowo himself, who established his Great Indonesia Movement Party (Gerindra) to further his presidential ambitions after failing to win Golkar’s backing for a run at the top job.